When it comes to feedback (from both customers and employees), the time of receiving until the time of action is largely ignored. Everyone in the restaurant business agrees that feedback is important to create excellent customer experiences, but spend very little time seeking it. When businesses do seek feedback, it's usually delayed and often the moment of truth has passed. Why should your company care about the time value of feedback? Traditionally, companies seek feedback through surveys or comment cards. The problem with this approach is that feedback is being captured after the person giving feedback has moved on to other things and his/her attention has shifted away from the original customer experience. It's no wonder the response rates of traditional feedback mechanisms are pitifully low. Here are some concrete steps that businesses can adopt to capture the time value of feedback. Get customer feedback while the customer is at your business. Let's go even further. 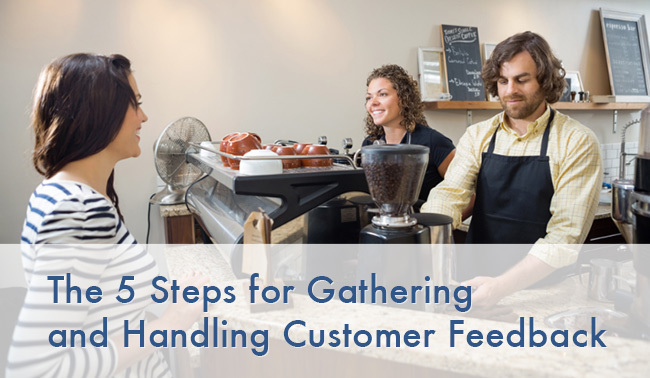 Get feedback while the customer is waiting, eating, and preparing to leave. It can be done. Our customer feedback solution allows the customer to provide feedback at any time - from when they walk in the door to when they walk out (and even after that). Typical surveys box consumers to answering questions that companies think are important. Instead, people should be allowed to provide feedback in their own words and spend their valuable time on voicing things they think are most important. Open format and instant feedback results in much higher participation rates and the ability to gather more actionable feedback. TalkToTheManager is one solution that allows for open feedback. According to Professor Baba Shiv (Professor of Marketing at Stanford's Graduate School of Business), research shows that emotions become permanent with time. It's best for an effective intervention to take place as close to the experience as possible. By acting in a timely manner, you will mitigate negative experiences and amplify positive ones with much less effort. Because most people just want to know that they are being heard, a sincere acknowledgment goes a long way. Social media has revolutionized the traditional feedback approach. Public review sites like Yelp, Twitter and Glassdoor have certainly brought more transparency and made businesses more accountable for their actions. However, they have also unintentionally put businesses in a reactive zone. For feedback to be truly constructive, the setting has to be collaborative and mutually beneficial. Both companies and feedback providers should be focused on solutions. If companies are proactive in seeking instant feedback in a private environment rather than reactive when customers or employees use social media to air any grievances, the results will be more positive. While ratings tell you whether feedback providers are satisfied or not, they are too general to become highly actionable. If someone gives you a poor rating, you are often left wondering why. Hence, it's important to gather and analyze open feedback to unravel specific trends. Text analytics technology can help with comment analysis. Our basic reporting and advanced analytics services allow for this added dimension, perfect for large volume, multi-location businesses. U.S. companies lose $83 billion every year due to customer defections and abandoned purchases as a direct result of poor experiences. The steps highlighted above can not only help you recover these lost dollars but can also improve your social media and satisfaction ratings by improving customer and employee experiences in an efficient, convenient manner, and, most importantly, in private. I graduated from the University of Utah in 2007 with a degree in Communications. I've worked as a freelance restaurant journalist, and full-time as a beverage director. I love creating cocktails!